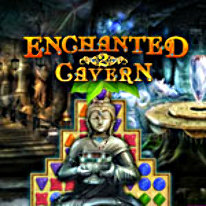 Enchanted Cavern 2 offers hours of jewel-filled fun for the whole family! The legend of the Enchanted Cavern has returned! On each level of this mesmerizing matching game, the player must eliminate groups of identically colored jewels with the click of a mouse in order to break through obstacles and move ahead to the next level. As the levels progress, so does the challenge. With so many fires to put out, the biggest challenge is to complete each level in the allotted time. With vivid graphics, entrancing music and three game modes, Enchanted Cavern 2 offers hours of jewel-filled fun for the whole family!